BMW Motorrad USA has introduced a totally new concept in on-board luggage and personal storage for the growing number of adventure riders exploring roads less traveled. 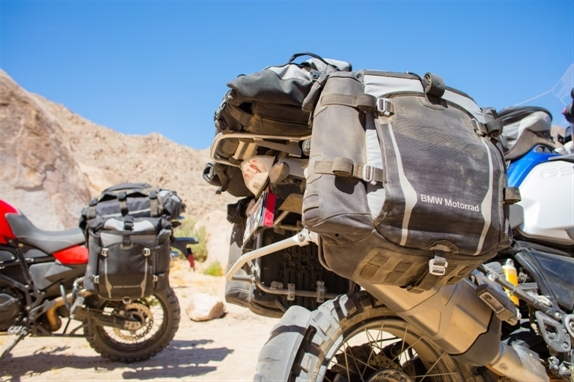 Intended primarily for use when riding BMW GS-model motorcycles off-road, the Atacama Adventure Luggage System provides more flexibility when piloting expert-level, back-country trails as well as continuing the expedition off the bike at remote camping locations. 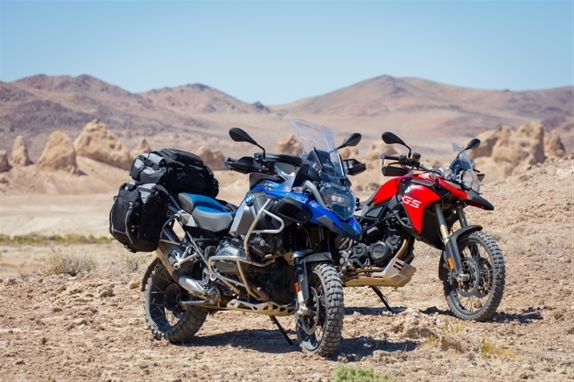 The luggage system, which utilizes the same case carrier system developed for the original BMW aluminum cases, gives riders an extra level of flexibility and security when navigating more challenging riding conditions and further enhances the capabilities of the GS. 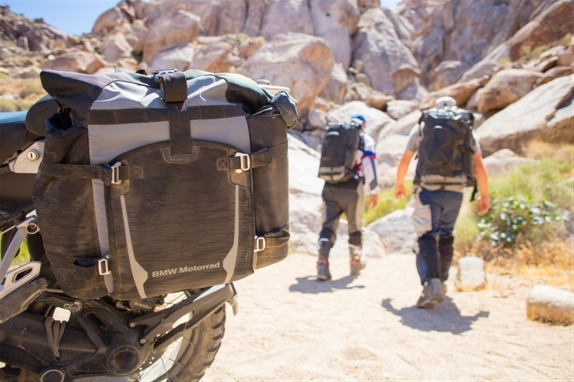 Currently, the Atacama Adventure Luggage System is only available through authorized BMW Motorrad USA dealers. 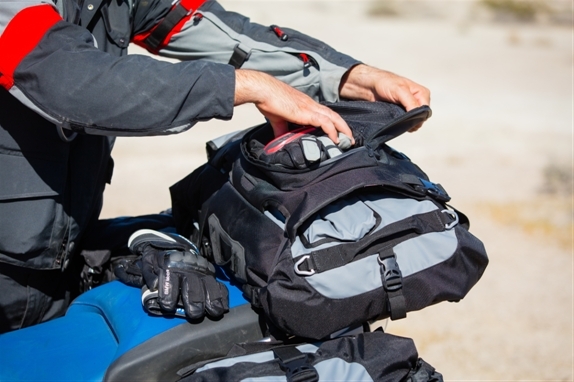 The Atacama Adventure luggage can be installed easily if the motorcycle has the original/stock aluminum case mounts, and can be fit to the following motorcycles: 2004-present R 1200 GS/GS Adventure; 2008-present F 650/700/800 GS; 2014-present F 800 GS Adventure. There are four different fittings depending on which motorcycle the bags will go on, and the bags require adapters to properly fit on the stock BMW case mounts. Retail cost of the Atacama side case kit is $861.50; the Duffel (top case) is $326.99. Adapter kits range from $126.99 to $243.99 depending on the application. 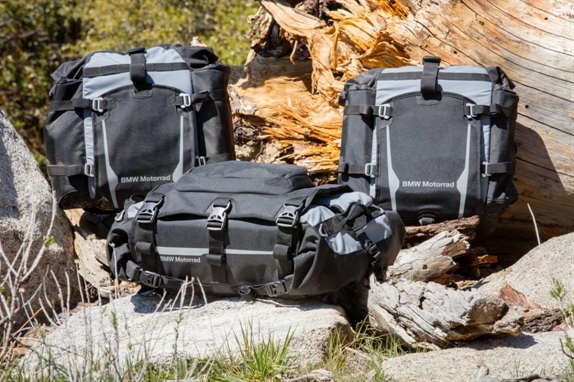 It's somewhat surprising to see BMW responding so quickly to the release of other soft luggage for adventure bikes like kits from Giant Loop and Mosko Moto. Mosko makes some bags that evoke Giant Loop, and these BMW bags certainly evoke Mosko Moto; in fact, word on the street is that Mosko is making them for BMW Motorrad, but we can only consider that rumor at this point and it has not been confirmed. You can download the entire press release from BMW Motorrad.